I give myself this talk every so often, and thought I’d share it here this time. 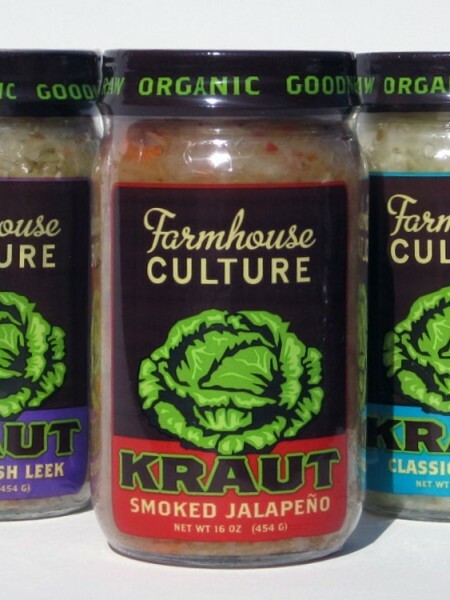 It all started when I thought to post about one of my favorite new products: Farmhouse Culture sauerkraut. This is a raw, organic sauerkraut, and it’s fantastic. Made in small batches in Santa Cruz, it’s fresh, spicy, crunchy, and has amazing flavor. I’ve only tried the smoked jalapeno flavor so far, but if that’s an indication of the rest, you can’t go wrong with any of them. If you like sauerkraut, these are a must to try. Since it’s not mass-produced like so many other products, Farmhouse Culture Kraut is a little more costly than others, about $8 a jar. Sometimes it seems like a lot…. but then when I put it into perspective, it’s really not. If I’m willing to pay nearly $5 for a latte that I will consume in one sitting, why not pay a little more than that for something that will take a week or two to eat? If I’ll buy vegan cookies for $5, so why not fresh organic raspberries that I know I’ll enjoy so much more? These “extravagances” really aren’t so much when we look at our typical choices. Plus, on a healthy vegan diet, one tends to have fewer medical expenses, have fewer extra doctor visits, need fewer over the counter drugs… the list goes on and on. Next postIn the great outdoors….. Exactly! So often we go toward cutting the quality of our food to save, when it ends up costing more and making us less healthy and happy in the long run….